I have been a “horse girl” my entire life. 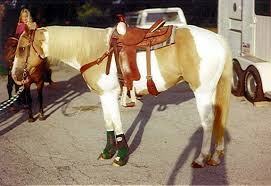 When I was 5 or 6 I got my first pony. 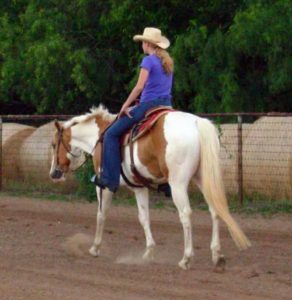 Although I have only “owned” 3 different horses during my youth, I have loved many more during my life thus far. In a tribute to those amazing spirits, I plan on occasionally spotlighting the various horses of my past. Today’s subject is “Pal” short for Palomino (original, I know). Pal has been in my life for a very long time. 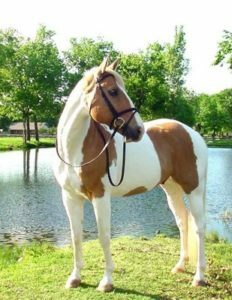 Originally purchased for my Dad, my youthful eyes viewed Pal as a gorgeous horse that wasn’t for me to ride- he was more suited to my 6’2 or so father, western saddle included. At one point in my childhood we had a horse for every member of the family, and even went to local shows/playdays together. My dad bought Pal to be his trail horse and amateur team penning horse. Pal was not trained. Pal was controlled by a large man and big bit. After a few years, less members of my family rode. 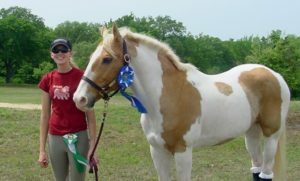 My older sister gave it up- mostly due to her severe allergies around horses, my mom became pregnant with my younger sister, and my dad focused on other hobbies. Being the true horsey soul that I am, I held strong. 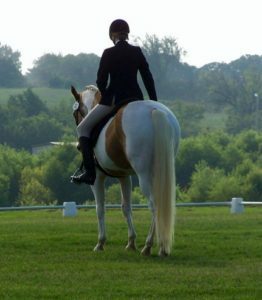 When I was 13 we began to search for a new show partner for me- to replace my Arabian gelding who I showed in breed shows and in dressage. The search for a horse was long, and during that time I decided to try riding Pal, who had basically been a pasture puff the last few years. After all, I was older at that point and a much more capable rider. Pal had been in the family about 5-6 years at this point. He didn’t know one lead from the other, but seemed to have an honest heart. As the horse search dragged on, we convinced my dressage trainer to take Pal for a couple months of intensive boot camp, so he could learn the basics. Like leads. To say this was a challenge is quite the understatement. Pal was so wiggly he could basically pick up any lead he wanted, no matter what you did. After 2 months of intense professional training he was far from finished but has the basic idea of things, so we brought him home. We had basically given up on the new horse search at this point, and settled on Pal as my new project. I liked him, and he seemed to be learning quickly. Due to the fact that he didn’t have any special training, I felt like I could do whatever I wanted on him without “ruining” him. Aka, I decided to jump. I had always wanted to learn, and left to my own devices I started teaching him (and myself!). Talk about the blind leading the blind. But why not? I read every Practical Horseman article, every George Morris jumping critique, every book I could find on jumping. I eventually started setting full jump courses for myself and Pal. We trusted each other. We didn’t have perfect form, but we got the job done. We had continued dressage lessons, so our flat work was at least under the watchful eye of a pro and always improving. The jumping was my no-pressure fun time. 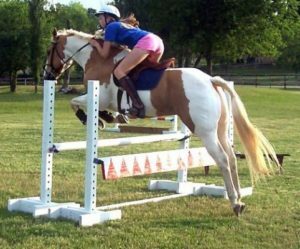 Eventually my parents stepped in, and for the sake of safety, found me a jumping instructor who was really an eventing trainer. Let’s just say she was a bit shocked after my first lesson- apparently there is something to those GHM articles after all. As for me, I was hooked. Eventing was exactly what I needed. 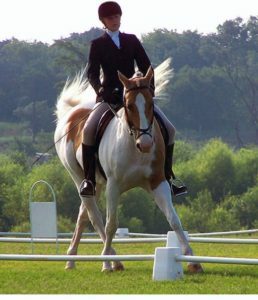 I could show off my years of dressage training, and finally get to experience the crazy adrenaline rush of jumping, more specifically cross-country. Since Pal had spent several years as a trail horse with my dad, he didn’t bat and eye on the XC course. He was a cross country MACHINE. He was a natural. Being a gusty teen on a horse I trusted, we were quite the pair. After my first few rated events, offers started pouring in for Pal. Never! He wasn’t for sale. 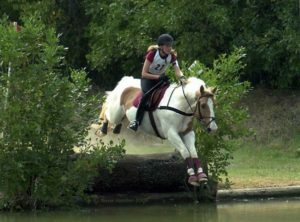 My last year eventing was my senior year of high school. I had only been doing it barley 3 years at this point.We started the year in our first training level event and were eliminated- in dressage. A little miss communication between Pal and I and we left the arena in a beautiful collected counter-canter. We won our last 4 events/CTs in a row. If I wrote about every person that touched our lives during this adventure, this would be a novel. But, I would be amiss to not mentioned a certain one. My partner in crime during many Pal related adventures was Erica. 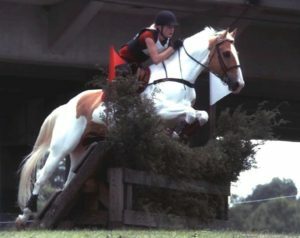 Erica was my eventing sherpa, my horsey mentor, and my best friend. Erica was there for every step of Pal’s transformation, and I surely couldn’t have done it without her. I will be forever grateful. Pal is now nearing 30 yrs old and enjoying a happy retirement on my parent’s property. I still see him, and occasionally he still gallops up from the bottom of the pasture when I call him. He is still not for sale. Also – I will never forget how damn wiggly he was…you always made him look like a push-button ride, when really he was a total noodle!